Hanford’s aims are as true today as when the school was founded in 1947 by the Canning family. Rev Clifford Canning and his wife, Enid, were searching for the perfect place to start a girls’ school. 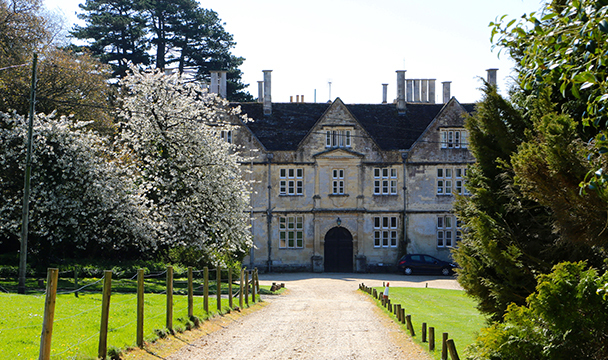 They took a 5 year lease on the magnificent Jacobean Hanford House, near Blandford, and its grounds from Vivian Seymer. It proved to be scuh ideal setting they decided to buy property outright. Rev Canning had previously been a housemaster at Marlborough and Headmaster at Canford School but it was Enid’s dream to run a girls’ school. Her vision was that Hanford should be a school that felt like a family home believing happy girls would be successful. Enid Canning made some progressive decisions all those years ago, decisions that have proven key to Hanford’s enduring success: no uniform, lots of ponies and a comfortable open, relaxed atmosphere where girls could feel free to explore the school and grounds almost as if it was their own home. Hanford today seems very much unchanged. Old Girls returning as prospective parents quickly become nostalgic – remembering running across the lawn to dry off after swimming, outrageous dares, catching ponies for riding before breakfast and Sarah C.
To recognise the breadth of academic capabilities and requirements and enable each girl to do the very best that she can. To provide the opportunity, encouragement and support for each girl to pursue and expand her interests both within and beyond the classroom. To recognize that each girl develops at her own speed, with her own interests, abilities and needs; and to maintain the flexibility to respond accordingly. To help the girls to look beyond themselves, to learn about living with others, being part of a wider group and taking care of each other’s needs. To provide the time, the opportunity and the environment for free play.